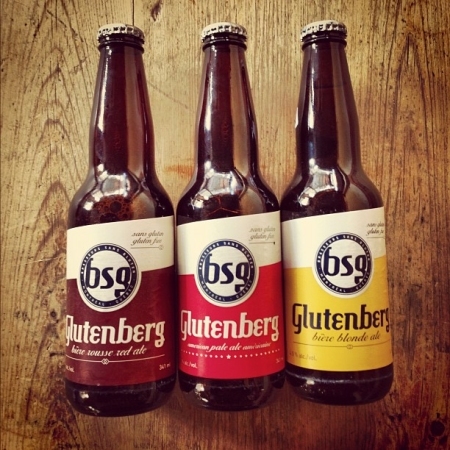 MONTREAL, QC – Brasseurs Sans Gluten has announced the completion of a major brewery expansion, and a corresponding expansion in distribution that will see it’s Glutenberg brands available in more territories in the US. The $2 million expansion will allow the brewery to produce up to 100,000 barrels of beer a year, giving it more capacity to ship beer to an additional six states in the US on top of the eight provinces and four states that currently receive Glutenberg beers. In just over two years of business, Brasseurs Sans Gluten has become one of the most award-winning gluten free breweries in the world, including a clean sweep of the gold, silver and bronze awards at the 2012 World Beer Cup in San Diego.